Lee Jeffries portrays homeless people only after getting to know them and their permissions to picture them. It adds a great deal of humanity to the incredible black and white shots. You can feel their confidence and open emotions. Homeless suffer a lot from the indifference, some say they have the sense of becoming no one, then nothing more than just a bit of dirt on the streets. If I don't donate money each time, I always try to give a smile, a "hello", or at least a gaze. Try it, it's not much but rewarding. 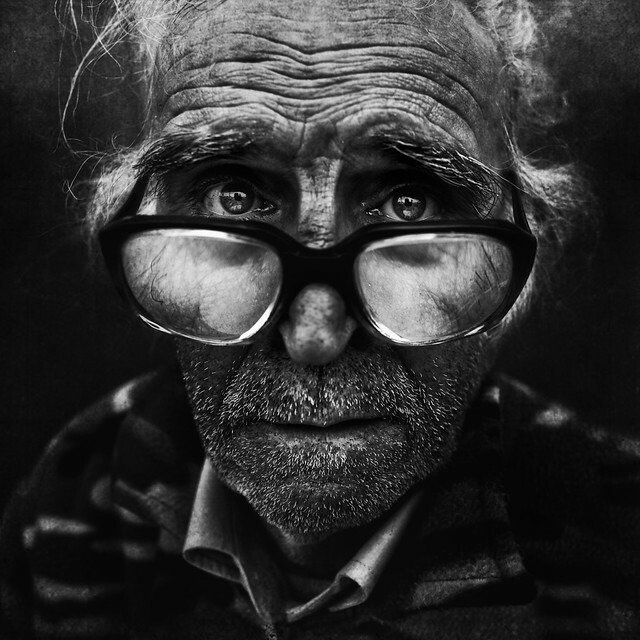 I invite you to see Lee Jeffries's work, his photographs portray his convictions and his compassion to the world. And he makes an admirable difference.